Repayment (or, payback, if you will) on a private student loan is generally more complicated than on federal loans (aka it can really be a ‘B’). So it is extremely important to know the repayment options for private student loans before committing to them. Its not like our nation’s student debt is anything new. Total student debt has nearly tripled in the last decade and repayment has slowed way down. Plenty of government energy has been spent over the past few decades attempting to address the issue. One of the most well-known updates was Obama’s Student Loan Forgiveness Program, which introduced new repayment options (for federal loans only though). But now, with millions of borrowers signed up, even this program is facing difficulties. Senator Elizabeth Warren has been fighting for better regulations on student debt collectors for years. Most recently, she asked President Donald Trump to keep fee limits in place for borrowers’ protection. The timely request comes as the Trump administration looks to restructure the CFPB (Consumer Financial Protection Bureau). Sen. Warren was especially appalled in January, when the CFPB sued Navient (formerly an arm of Sallie Mae) for “cheating borrowers by steering them away from repayment options that could lower their monthly payments because they believed that they did not have an obligation to ‘act in the interest of the consumer‘.” The incident with Navient is a clear reminder that borrowers absolutely need someone looking out for them. There are, however, a few options for private loan repayment programs or refinancing. Best-case scenario is that you spot these options before signing AND you actually qualify for one of them. 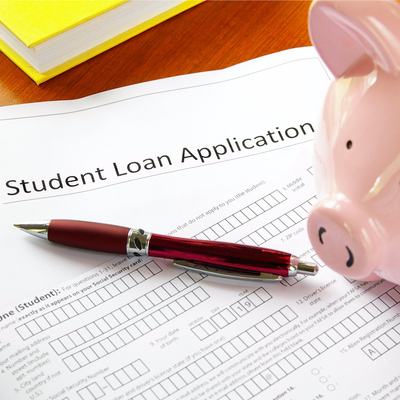 So if you’ve decided that a private student loan is definitely what you need, check the repayment options first! A great way to do so is with a contract review app – enter FeeBelly to save the day. 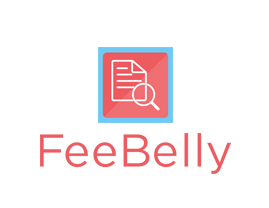 The FeeBelly app can act not only as a hidden fee sniffer, but can also highlight the repayment options for private student loans. After selecting the document type and scanning or importing it with your smartphone, simply add “repayment option” as a keyword. Then FeeBelly does the work for you, solving all of your student debt problems! Ok, ok, not all of them. But by using the FeeBelly app before signing, you can know your repayment options and have a better shot at successfully fulfilling the requirements of your private student loan.